This is a review for the Eheim Air Diffuser that connects to the air hose. Eheim also have one that connects to your canister outflow. I bought 6 of these to get more air into my water. They are sold as an air diffuser, with a good comparison video to a ceramic air stone on Youtube. 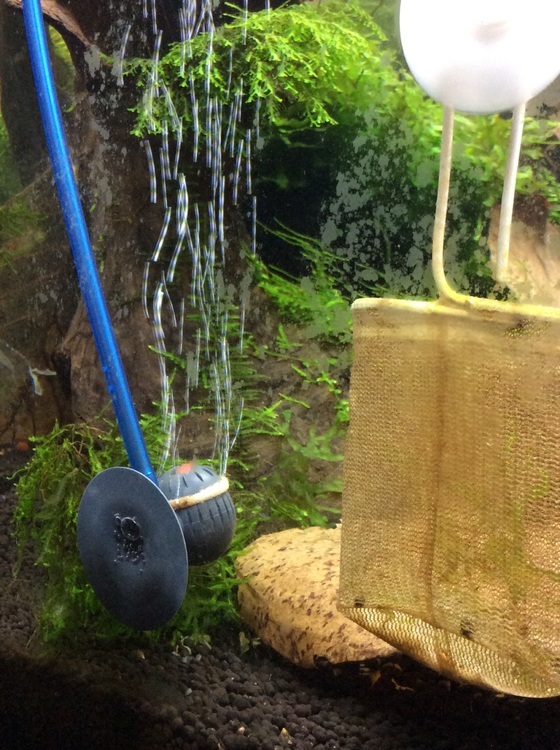 I have these in 4 tanks from 50 litre to 240 litre, connected to different output air pumps. I have had them for approx. 2 months. Comes with a suction cup to attach to the glass, looks tidy, very attractive finishing compared to a ceramic air stone. To get more air diffusion, you need smaller bubbles under pressure that travel slower to the water surface than large air bubbles. This is the concept behind buying this air diffuser. This is possible, but by setting the diffuser to such a fine setting, there is a very high pitched noise coming from it due to the pressure going through the diffuser on such a fine setting. 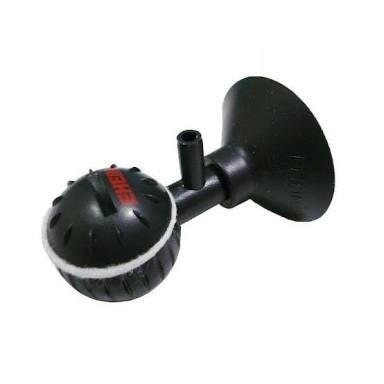 The frequency of the high pitched noise does lower by letting off some pressure by either adjusting the diffuser itself to increase bubble size, or by dialling down the airflow from your air pump. This high pitched noise only disappears when the bubbles are the size equivalent to that of a regular air stone. The noise at the finer settings is loud enough to be annoying, and I cannot imagine that shrimp and fish want to be exposed to that noise pollution. I have tanks still running at this noise-level: it does not go away if you do not increase the bubble size. This Eheim Air diffuser gets ??? / 5 Shrimp tails. It is an attractive average-functioning airstone if that is what you are looking for in terms of regular bubble size. As a fine air diffuser, due to the high level of high-pitched noise, I would not recommend it at all. Figure 1 shows bubbles at a lower frequency high-pitch level that is annoying. 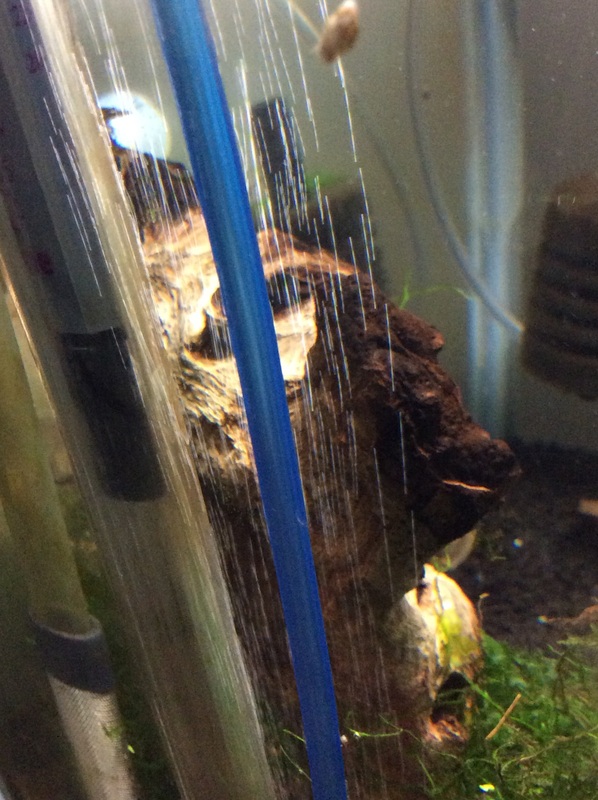 Figure 2 shows the very fine diffused bubbles that one expects from a diffuser, but with a noise level that will drive you nuts if you are next to the tank and who knows what stress that causes the shrimp and fish.